In a business, you always have to stay ahead and a big part of it is branding. I’m a lover of branding. I have studied branding ever since I was in high school and it was not because I had to study it (obviously, I didn’t have subjects on that in High School… haha! ), but I was fascinated by it. I used to compete in aerobics marathons and I learned a lot about branding through competing. Since we were all judged and the winner was not determined by actual time spent on the aerobics floor, but by judge’s scores, how to stand out from your competition was totally up to you. You needed to get the judges attention. I had to wear really catchy outfits. I had to constantly keep that smile on my face. I had to get people to clap for me. A lot of weight on how I performed was dependent on how I ‘branded myself’ during the competition. We know that in business branding is important, too. The likes of Nike, Starbucks and Coca-cola would not have gotten to where they are now if they didn’t value branding. In blogging, a lot of the bloggers have asked me, how do you become a successful blogger. I wanted to share this with you in Blogopolis this year, but unfortunately, I am running Love the Leap, my entrepreneurship program this year and could not make it as a speaker. But this post is something that I would like to impart and share with bloggers who have that question still in their minds. How do you make waves and be noticed by brands? BRANDING, believe me, is a huge part of it. 1. Truly Know Yourself – I’m not a motivational speaker. Anyone who has attended my class or some of my talks know that I am far from being ‘motivational’ in any way. That is why undergoing the Yoga Teacher Certification Course for my RYT200 was difficult for me since I always thought yoga teachers needed to sound inspirational. So in this blog, you could and would actually hear me speaking. When I write, I write how I would converse with any one of my friends or family. I can’t appear or try to be someone who I am not. Do you know that readers can smell if you’re faking it or if you really mean what you say? So this thing about really knowing yourself is a big deal, because how can you communicate with others (readers) effectively, if you do not know who you are in the first place — if you keep on changing your personality from one to another? How can people truly get to know who you are? 2. Identify a Legacy that you want to Leave – You might say that this tip is so unreachable and so hard to do! Ang bigat naman! Legacy agad! I know that word Legacy sounds intimidating and it sounds like something that you would think of when you’re about to die (so morbid! ), but your own legacy doesn’t have to be that deep and it doesn’t have to be something that you only think of in your deathbed. Come to think of it, I don’t think that there are any legacies that are ‘shallow’. For example, if your legacy is to be the best mom that you can be, oh my! That’s sound simple but that’s so hard to achieve. So for your blog, think of a legacy that you, as a person, want to achieve and keep in mind that your blog is there to help you. Use it as a tool to achieve that legacy. For my blog, the legacy that I really want to leave is to help a lot of people jump into the life that they want and achieve a steady stream of passive income that helps them sustain their lifestyle through starting and maintaining a successful business. I know that becoming an entrepreneur is dream of a lot of people, and I want to help achieve this dream by sharing my own experiences and even sharing the experiences of other people. I am a believer in continuously learning about things and what I like about my role as a business coach is I get to learn more and more about business with the experiences that I get to hear from other people, too. My blog, I know, is a wonderful tool that I can use to reach this goal of mine faster. 3. Realize that only ‘YOU’ matters – When I was starting in the blogging world, I wanted to be invited to events, I wanted to know a lot of people in the industry, I wanted to hold contests and I wanted to hold contests that those more famous bloggers were holding. I wanted to be ‘in’! And then, as I got older and wiser (and more beautiful… haha! Just kidding! ), I realized that in this industry, the only thing that matters is what YOU think and not what other people think. What matters is what you do and not what other people are doing. From the time that I realized this, that’s the time when I went my own way and started seeing the benefits of being unique. Of course I’m not as popular as other bloggers out there, but what matters to me is that each and every day, I get to take a step closer to my dream of helping the nation build a more stable economy with helping these aspiring entrepreneurs start their own businesses. Also, in my blog, I write about the journey of being a mom, because that’s my life and that’s who I am and SHE (my daughter) is my reason ‘why’ I’m doing all of these things. So these are the top three things that I wanted to share with you in Blogopolis this year. I couldn’t, so I just wrote it down. I believe that bloggers are given such great power to create a lot of changes in our society today. 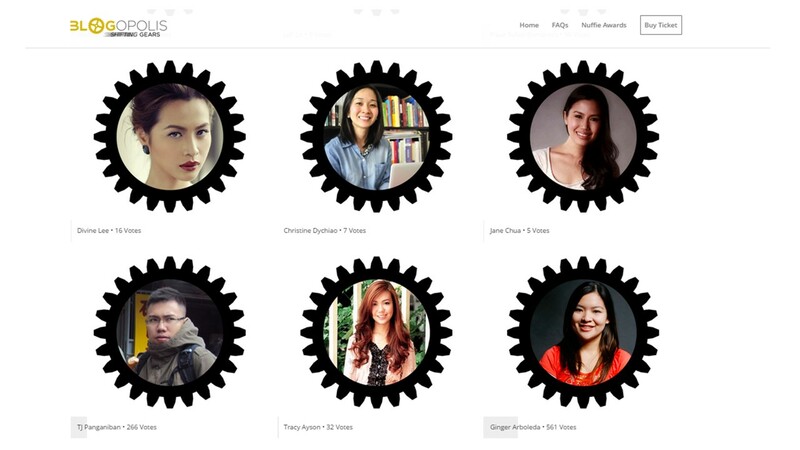 The title of Blogopolis this year is Shifting Gears (by the way, buy your tickets na if you haven’t pa!) and is such an apt title for the environment that we are living in today. As bloggers, we are in the forefront of all of these changes and yes, although some of us may have been nominated to be influencers last year, I believe that we are all influencers in our own right. after several years of blogging, ive seen the blogging world change and there are days that i feel lost — thanks for your post. It reminded me some important truths that i should consider as i assess my blog once more. Hi mommy ginger! Thank you for your post. 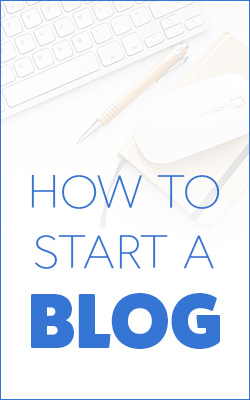 This will definitely help me, once I started with my own blog. Hi Psyche! 🙂 I breastfed for 1 year, but for my next baby, my goal is to breastfeed longer 🙂 But I’m happy narin that I got to breastfeed exclusively for 1 year and mostly, direct feeding pa kami 🙂 Kaya mo yan! Don’t give up! Hi mommy Ginger! I love your blog even tho I’m not a mom 🙂 It inspired me to start a blog and I specially love the articles you wrote about branding, marketing and your interview with successful entrepreneurs. More power! These are some fantastic tips. Something that’s been a work in progress is figuring out who I am, what my strengths are and how to let go of what people think and stay true to myself. `Really loved your advice on branding and Knowing Thy Self. I’ve really tried to focus on that this year and trying to discover my own voice. My blog is dedicated to health and beauty, although it’s mainly about growing ethnic hair. I want to leave a legacy that African American hair can grow and be healthy. I totally agree with everything you said about branding. It’s so important that we don’t compare ourselves to other bloggers and to always go back to why we started blogging in the first place. Thank you for the words you have shared with us other bloggers!! I have recently started blogging and my audience is super tiny (I think) but I am also writing my family’s journey that only a certain audience would be interested in (besides friends and family). My sister has a very successful blog but she has put lots of hard work to get where she is and many people read her post but her audience is not the same as mine. I like your tip of writing as if you were talking and that is what I am doing with my blog….. Aside from this I just saw where someone asked you about breastfeeding. Way to go on breastfeeding!! I breastfed (still am) all three of my little ones. You are right on when you talk about how people can tell if you are being yourself on your blog. Although we are writing, and not face to face with our readers, our personality should be evident in the way we write if we are truly being authentic. I try to do that with my blogs as well. I enjoyed reading this post! I think it’s important to think about what makes you different and what you are uniquely gifted to give to the world. I think I need to think a bit more about branding my own blog. Thanks for the tips! I love the last tip, mommy Ginger! 🙂 I do hope to be a successful blogger someday but I agree that it’s so much nicer to be you and unique than the same with everyone else. 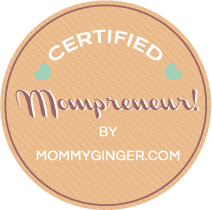 I am a mommy blogger also, and I love being able to read and learn from bloggers who are so much further ahead of me. Thank you! Such an important reminder! It’s easy to compare and forget that we’re all here for our own unique purpose. I know branding is something I really need to focus more on. Lately I’ve been learning about my personality type and my unique set of skills I have to offer this world, it’s a great way to get more focus. Thanks for the reminder; back to basics I guess. Great advice! I’m still new to the blogging world but I think about the type of blogger I want to become someday. I can see how it would be easy to lose myself while worrying about everything else that goes into blogging. For the branding aspect, I think it’s really important to decide early on what your blog is going to be about. It has an effect on how you’ll brand it. Even mommy blogs can have a certain focus. This focus can help you in choosing what colors, logo, sub-graphics, layout, etc. to use. Then, you want to be as consistent as possible. This always reminds me of the restaurant and bar makeover shows where they come in and say, “You’re using 3-4 different logos. You’re confusing people!”…Great tips! Thanks for sharing! Thank you so much for the great advice. One of the most important point you make is to be yourself. Trying to imitate other bloggers won’t bring success in the long run because there’s nothing authentic about it. People respond to “real” people, so I think being yourself is awesome advice. Thank you! I like the idea of leaving a legacy – knowledge, experience things you can pass on and YES it is the YOU in yor blog that matters. Thank you for a good post! I love the tip to realize the legacy we want to leave behind. Whenever I find myself getting lost or discourage, I go right back to what I want to accomplish, what stamp I want to leave behind, and I’m right back on track immediately. I love the last tip! I too wanted to be ‘in.’ And was originally planning to write a blog that wasn’t quite me. I think it is so important to be who you are; it makes your writing so much more authentic. Thank you for the tips Mommy Ginger. Branding is what I need right now. I started this new blog and I will take your advise about the legacy thing. Everyone wants to be successful in life and I want to carefully examine my next moves (but with fun of course) , I think I will go the extra mile and hopefully achieve my goal. 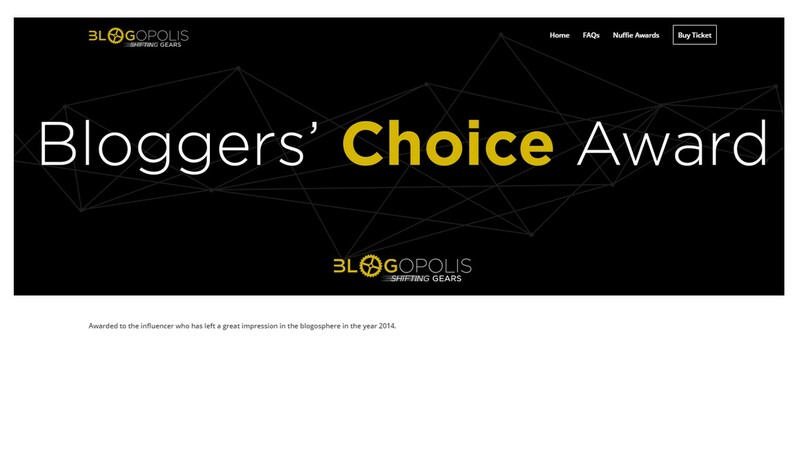 By the way, I voted for you in the Blogger’s Choice. 🙂 🙂 Keep inspiring people! Branding is definitely an important part of business. That’s very clear in our merchandising businesses. Being new to blogging, your tips are very helpful to me in understanding how branding fits into this world. Thank you for sharing your knowledge with us. Wow! Congrats on both the awesome branding article AND the award. As someone whom is working on their branding, I find your words helpful and inspiring. This is such an encouraging post. There seems to be a lot of posts lately valuing authenticity rather than comparing yourself to other bloggers. So thank you. Blogging is a work in progress and always changing as I have seen since 2009. Thank you for your thoughts, there is much to be learned here!! Your post is so timely for me! I am in the middle of the rebrand/second blog internal debate and am constantly asking, “Who do I want to be when I grow up?” Your legacy point resonates; anything worth doing is worth doing well. Thanks for the inspiration! For my blog I want my legacy to be that you can achieve anything you set your mind to achieve, overcome all of the obstacles you find on your way, and you can build a life that you’re proud of. (Kind of a lifestyle/motivational blog haha) I’m still quite new at this blogging thing so branding is something that I’m teaching myself as we speak! I’ve enjoyed blogging much more since I stopped overthinking it. I write for me now, and to leave a legacy for my children so they will read my posts in future and know about my thoughts, feelings, hopes and dreams. Anything else that comes out of my blog is a bonus. Oh yes, legacy. What is it we leave behind to the world to make it a better place? I agree this is an important thing for sure. I’m relatively new to the blogging world and my goal for now is to just spread the word about my blog and gain some followers. I’ll work on other stuff a little at a time, I’m in no hurry! Such great information. i am no where near where I want to be but my goal is just to help others in areas that I enjoy. When I started blogging I tried too hard to be like others that I was following & got discouraged because that wasn’t who I really was. Thank you again for sharing. I am so glad you wrote this post. I am a new blogger. I have been wanting to write for quite a while. I finally told myself to just go for it! I am writing about my experiences being a mom and all the decorating and reorganizing I do in my house. Also cooking, I like to cook. Reading your blog is a good reminder to be myself, because that is enough. Not to compare myself to others and just be happy writing about what I am good at. I just started blogging so this post is super helpful! I still feel like I am figuring out what my blog is about and what my Brand is, but as I’ve jumped in and gotten started, I think it’s coming together. I sometimes find that I am the minority and feel like have to apologize for it because I am not as focused on growing my blog to earn an income. While I certainly wouldn’t turn down any opportunity to earn some extra cash that appealed to me, it is nice to know that it is me who matters most! I just am a middle age girl who likes to share!! Umm, maybe it is time for a new tag-line!! Thank you for sharing. I am still somewhat new to blogging and I love reading posts like this. Congratulations on the award. I have been blogging for almost 5 years and it changes all the time, those tips are just great for every blogger. Like some others noted, I’m not in blogging for the money. I started it actually because I forgot how I made a recipe and it is soooo much easier to just post it online! I have a search tool and everything! Way better than some notecards. Blogging is awesome! Thanks for this – I’ve only just started blogging, and I’m always on the look out for any advice from blogging veterans! Great advice! One of my favorite things of reading other blogs is the writer’s voice, yet that is what I struggle with the most. I value vulnerability and want to offer it to readers, but it is hard sometimes, especially with my husband being in ministry–I don’t want to say anything that could backfire on us. However, I feel like slowly I am coming into my own and offering more consistency, though that is an area I want to continue to grow in! yes, authenticity and the real “You” Please set up:) with all those quirks and funk too. Great ideas about branding. It’s interesting how many things come back to knowing who you are. It’s the most challenging part of life–but one worth the effort! Thanks for the great post. Good advice. thanks for sharing. I like your advice on finding your own voice. Thanks for this wonderful advice. Originally a pet blogger, I just started a new food/lifestyle blog… and I’m really to learn who I am… I’m really going to take this to heart. Really like the 1st point especially ” Truly Know Yourself”. It is all about knowing and honoring who you are. Your personal brand needs to have integrity (i.e. what you see is what you get). Thanks for the great post. I have to remember to just be me. I can admit that when I started I looked up to the bloggers I wanted to be like. I have noticed that when I don’t think about them and just write, I write better. Now I have to remember to do that every time and not just now and than. Great advice and tips. I’m also a mommy blogger and I’m always looking for new ideas for my blog.